Developed to meet the demand for a low-cost, high-quality history book, this text is an economically priced version of The Enduring Vision, 5/e (©2004). The Dolphin Edition offers readers the complete text while limiting the number of photos, tables, and maps. All volumes feature a paperback, two-color format that appeals to those seeking a comprehensive, trade-sized history text. Like its hardcover counterpart, the Dolphin Edition's engaging narrative balances political, social, and cultural history within a clear, chronological framework. Each chapter features the latest scholarship, with a special emphasis on technology, public health, disease, and medicine. 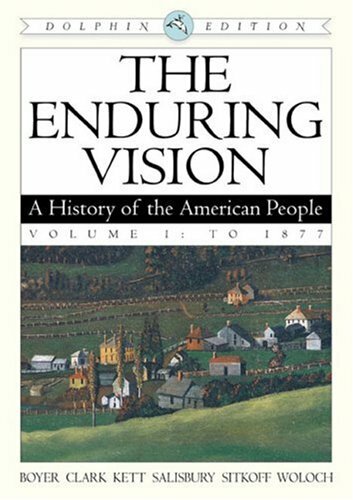 Significant narrative revisions to the Fifth Edition of The Enduring Vision are reflected in the Dolphin Edition.